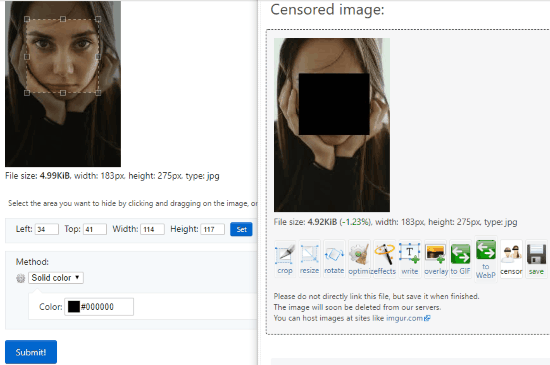 Here is the list of free web tools to redact images online. For that, I’m covering 5 free websites to edit and redact the images online. All you need to visit the websites. Then, upload the images from your computer. A few of these sites let you add the image from Google Drive or by image URL. After that, you can start selecting the specific area of the image in order to redact it. It takes a few seconds to get things done. And then, you can download the image. There are other tools that let you redact the document online. But using these websites, you can redact the face or the picture of someone. There are other tools as well. You can pixelate and make the selected area blur as well. Also, you can use the solid color options that have other colors too. I have also covered an article where you can colorize the black and white picture online. First, let’s check each website and censor images online. Redacted is a free web tool. It is so simple and easy to use. Using this tool, you can redact a specific part of the image. You can blur, pixelated or make black boxes. When you visit the website, you will see an option in the middle. You can select the image from your computer. Also, you can drop or the image in the interface. The site lets you add one picture at a time. After uploading the picture, you can select a part from the image which you want to hide. Once you select a part, it automatically blurs that specific area. You can double click on the selected to make the blurred part pixelated. If you again click twice on the selected area, it makes the selected area black. Once you are done with the redaction, you can click on the Download button located on the top right. The downloaded images get saved in JPG file format. 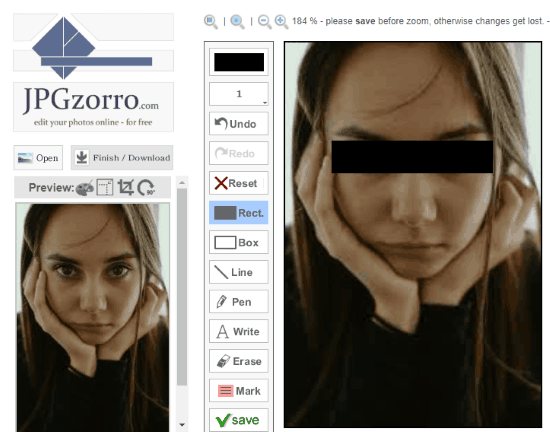 Ezgif.com is another free website to redact images online. The site works as a GIF maker, animated WebP maker, animated PNG maker, etc. You can convert images with other tools like resize, crop, etc. 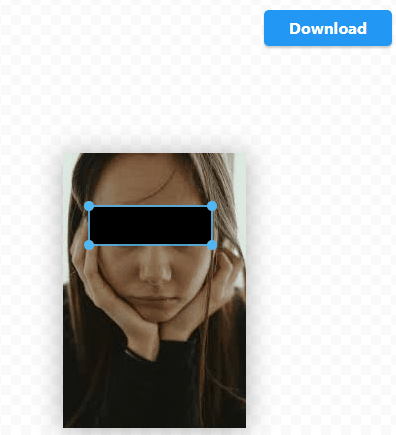 To redact an image, you can upload the image from your computer. Also, you can enter the image URL below. The site supports the images formats such as PNG, JPG, GIF, BMP, APNG, WEBP, FLIF, and MNG. You can upload the image with the maximum file size of 35 MB. Thereafter, you can click the Upload button located at the bottom. Once you do so, the censored image appears below where you can access other features. You can select the area of the image which you want to hide. Then, it shows the three methods; pixelate, blur, and solid. If you prefer pixelate method then it lets you select the pixel square size like 5px, 10px, 20px, 25px. If you go for a solid color option then you can select the color. Doing so, the selected image area gets colored with the chosen color. There are other features which you can use, e.g., crop, resize, optimize, rotate, effects, etc. After that, you can save the image in JPG format. Pinetools.com is a great website. It has multiple tools which you can use for image editing. You can invert colors, flip images, colorize images, use image effects, remove noise and many more tools. One of them is a Censor photo tool. To redact the image, you can browse the image from your computer. Then, you can select the area from the image. On the right, there are options to select the shape as rectangle and eclipse. Whatever the shape you select, it hides the image is with that shape. The next step is to choose the method; blur, pixelate, and solid color. If you go for pixel, you can adjust the block size. The blur option lets you manage the radius. The solid color lets you decide the color. After selecting your preference, you can click on the Censor button below. The site provides you result below which you can save in PNG, JPG, or WEP format. Another amazing website called JPGzorrocom that lets you redact images online. It is the online image editor. Using this site, you can edit image files as well. Once you visit the site, you will see an interface. There you can upload the picture which you want to react. It supports only PNG and JPG file formats. You can also upload an image directly from Google Drive. Once you upload the image, then you can click on Start Photo Editor. Then, the input file displays on the left. You can click on the image to start editing. There are several options to use. You need to click on the Rectangle. Then, you can select the specific area on the image to redact. You can reset it as well. After that, save the image and download it on your computer with PNG format. Lunapic is a good website to redact images online. This is the online image editor. 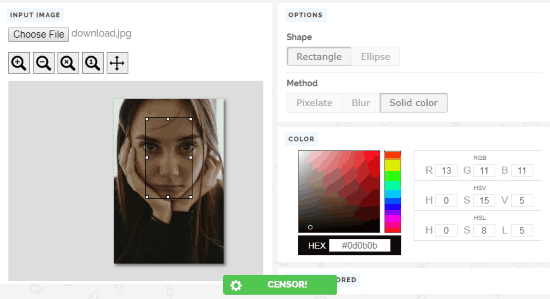 You can access multiple features like filters, text, draw, borders, art, animation, etc. In order to redact images online, you can visit the website. Firstly, you have to upload the image from your computer. Then, you will see options on the top. You can go to the Draw section. There are several options, e.g., paint tool, watermark tool, blur a face, etc. One of them is a censored box. After selecting it, a box with a text Censored appears on the image. You can adjust it then save the image. There is another way to redact image. If you don’t want the text to redact then you can after uploading the image, use the tools on the left. There is a tool named Draw square and circle. You can select it and then adjust the pen size to the maximum size. Also, you can choose the color of the pen. Thereafter, start selecting the part of the image, hide it and save it in GIF format. You must have seen or used redact tools for PDF and other documents. 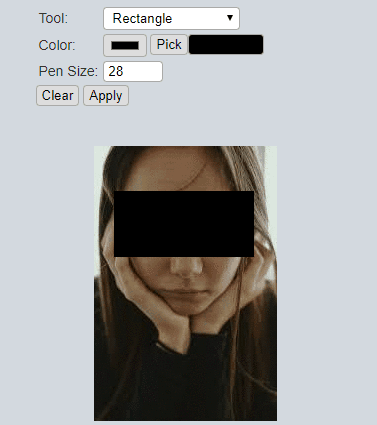 Using the above-mentioned websites, you can redact someone’s picture. Here, you can select the specific area then redact it just with one click. Also, you can blur, pixelated the selected area. The images can be saved on your computer as well.